Commence going H.A.M. and yelling that ish cray. Kanye West and Jay-Z collaborative album, Watch The Throne released more than three years ago but the influence continues to this day. 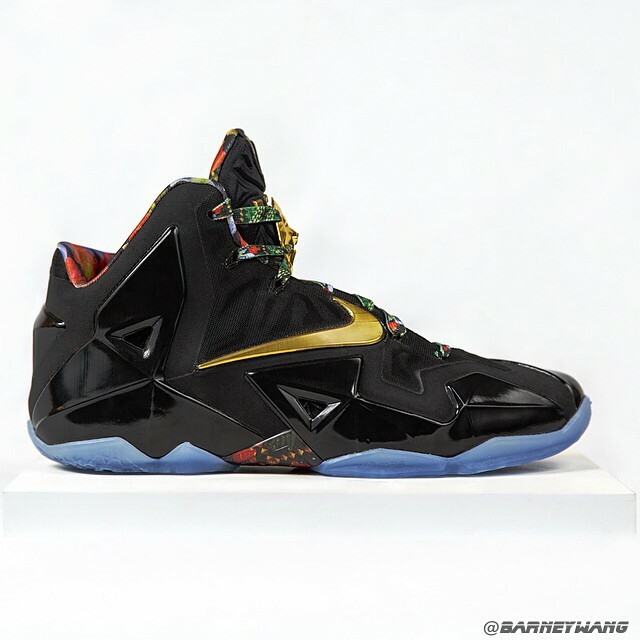 The 2011 album helped spawn a LeBron 9 sample that never hit retail, a shoe that is the inspiration behind the Nike LeBron 11 ‘Watch The Throne’ sample seen below. 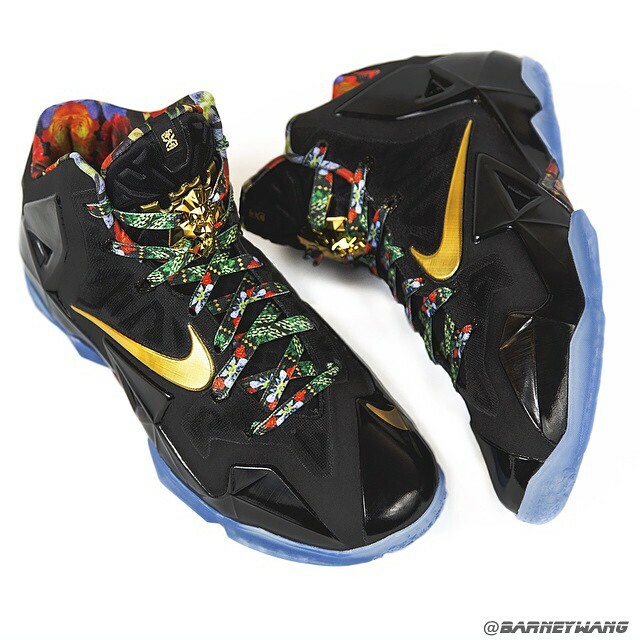 The gold trim is reminiscent of the album cover, while the signature nature pattern appears on the laces and shank plate. This colorway will likely never hit retail (especially with the LeBron 12 launching soon.) Let us know what you think of this shoe in the comments below. 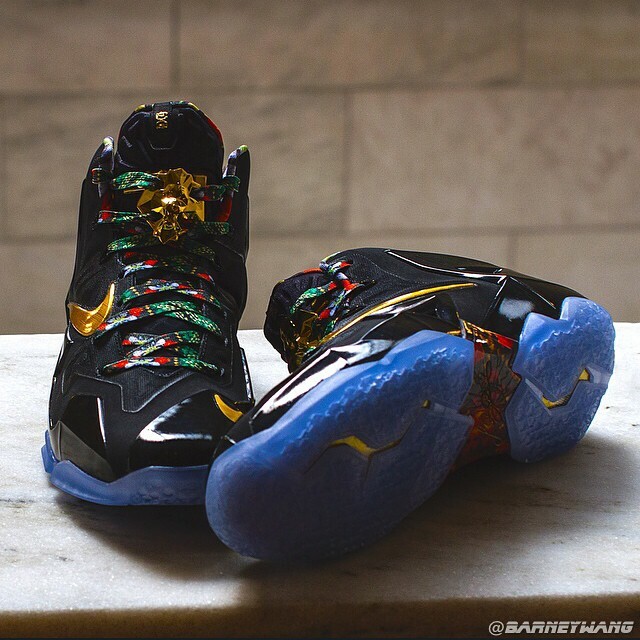 Is it better than the ‘Watch The Throne’ LeBron 9? How does it compare to all the released LeBron 11 colorways? Cop so hard motherfuckers want to find me.